Eric Huffstutler on Taking a short break til Monday! Liz on Taking a short break til Monday! Leslie Moore on Taking a short break til Monday! Stop the Church Hill pansy thief! 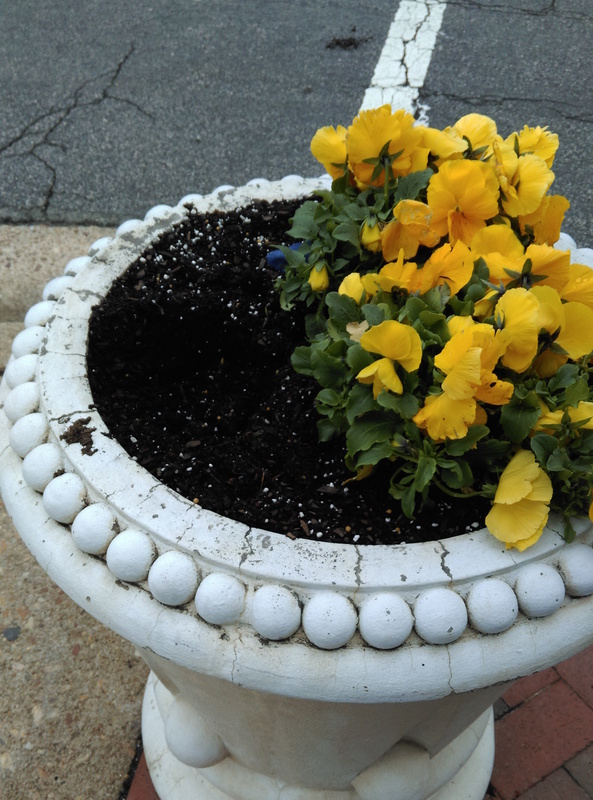 This is the second time we have had flower dug up from our outdoor planter on the corner of 25th and Marshall St. Not sure if you can tell by the attached picture, but there is a large hole where the purple pansies used to be. The business across the street (Pets at Play) has had their 2 bushes stolen out of their pots several months ago also. It would be appreciated if everyone could keep an eye out for any suspicious looking people walking around with freshly dug up plants! To clarify, “pansy” is describing what was stolen, and is not a declaration about the character of the thief. CHPN fully believes that the flower thief is a scary and threatening individual and is in no way picking a fight with the pan…person. Church Hill Pansy Thief is totally the name of my next band. Paint your pansies. Then the culprit will be caught… red-handed…. ???? I’m sure some of those spare cats at the animal hospital saw something. I wonder if they’re involved (queue cat burglar jokes). Someone must be running a black market nursery! This summer peonies were dug up in my front yard.